Lonny Moore’s Collision Repair is proud to offer Paintless Dent Repair (PDR). Faster than conventional repairs, PDR does not use traditional auto body methods like sanding, body filler, or painting. 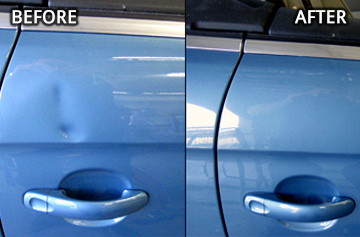 Using PDR, our technicians can remove many types of minor dent damage, including hail or door dings. In many cases, PDR can help save you time and money. Contact us today to find out if PDR is the right choice for you. 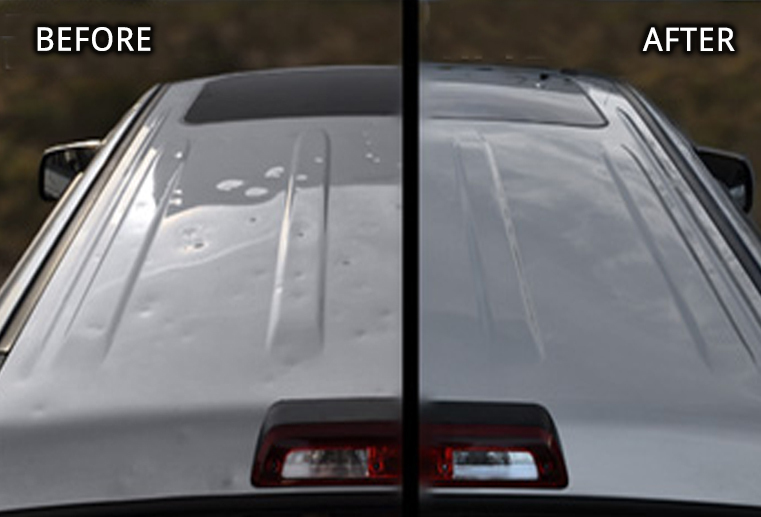 Paintless Dent Repair / Removal (PDR) is a process that restores metal back to its original condition without disturbing the factory paint finish. PDR was developed by technicians on the assembly line of Mercedes Benz during the1940s to repair minor manufacturing flaws. Specialized hand tools were created to gently push the dented metal back to its original form. 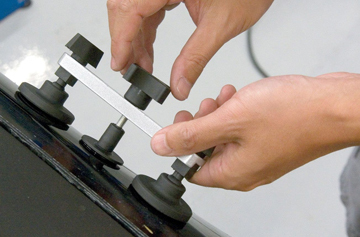 Today, our technicians use state-of-the-art hand tools and techniques to push the dents out from the inner side of the body panel removing high spots and making the surface flat again. 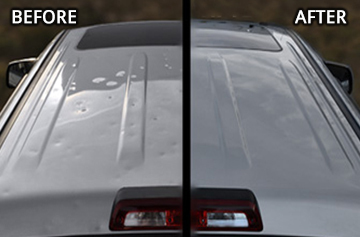 Paintless Dent Repair / Removal may be used on both aluminum and steel panels. 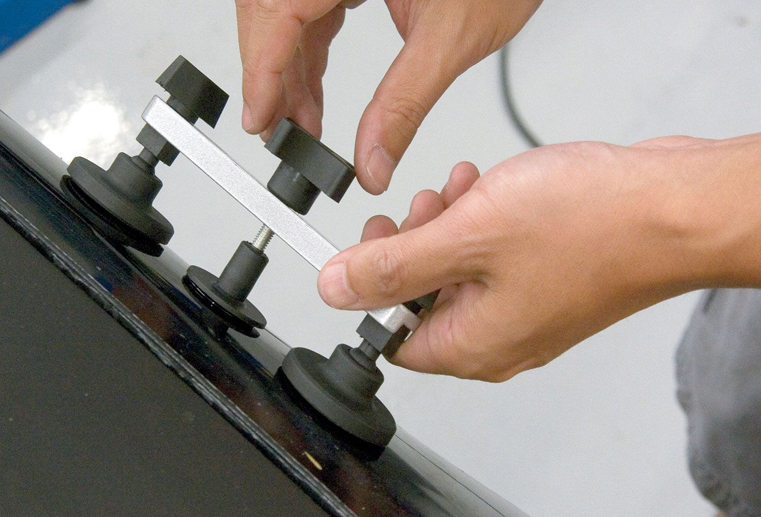 This innovative service has changed the face of the auto body repair industry. Today, customers and insurance companies can maintain the appearance and value of their vehicles without the inconveniences associated with collision repair at a fraction of the cost. Body shops have discovered that Paintless Dent Repair / Removal is an excellent complement to the repair process. 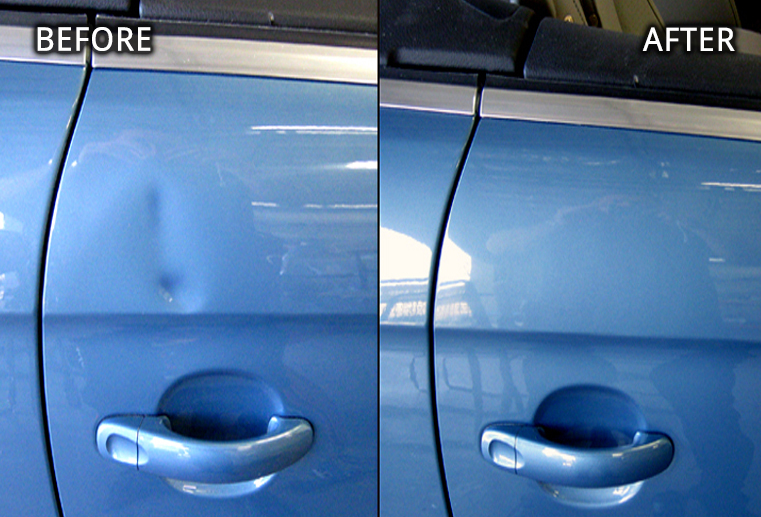 Consumers have discovered that for a fraction of the cost, PDR is the ultimate solution to restore their car to its original, pristine condition as there is no body filler or repainting needed, there is no risk of paint overspray on other vehicle areas; no risk of incorrect color matching; and their vehicle retains the original factory paint which is always preferable for the value of the car. A vehicle in excellent condition will hold a higher value than the same vehicle in poor condition. Many factors affect the cost of paintless dent removal. Location, depth of dent, conditions of the paint in the dented area, braces and support behind the dent and electronics just to name a few. Many dents appear smaller, but like a rock dropped in a pond, the dent expands both inward and outward.